Ever a favourite with discerning motorists, the Volkswagen Golf is a stylish family hatch that boasts a distinctive design, a spacious cabin, and a host of technological features created to make every journey a pleasure. Updated in 2017, the model now comes with improved standard and optional equipment to assist drivers in a variety of situations. The Golf’s already recognisable design has been made even more striking by the update, which sees the model swap its xenon head and taillights for full LED versions. In addition, new bumpers at the front and rear give it a more sophisticated look, while new wheel and colour options offer enhanced personalisation. The model retains the bold angles and flowing lines that have characterised the most recent generations, maintaining a sporty yet elegant feel that is sure to turn the heads of other drivers and pedestrians alike. There was little need to update the Volkswagen Golf’s interior. The cabin of the updated model enjoys the same high-quality materials and smart dash, complete with intuitive controls that make driving effortless. The main improvement is a larger infotainment display, which is set into the centre console and offers a screen of up to 9.2 inches for clear, concise navigation. The dimensions of the car remain the same, meaning passengers enjoy ample head and legroom, while the generous boot is capable of accommodating anything from shopping to suitcases. Thanks to the supportive seats and plush fabrics, everyone will be comfy no matter how long the journey. One of the biggest areas in which the new Volkswagen Golf has been updated is in its technological features. The infotainment system has a crisper display and top-of-the-range models incorporate gesture control, which allows menu navigation through the use of hand gestures. If your Golf has more than one regular driver, finding the perfect seating position is no longer a hassle. Your key serves as an ID that the car can use to activate settings such as the seat adjustment, enabling you to simply step straight in to your perfect position, which can be saved using the memory function. A new engine has been introduced to the Volkswagen Golf line-up: a 1.5-litre TSI petrol unit that delivers either 129bhp or 148bhp. The more powerful option features an innovative system that shuts down cylinders while you’re cruising to save on fuel consumption. Alongside this variant are a 1.0-litre option that emits just 108g/km of CO2, as well as a 1.4-litre petrol engine and 1.6 and 2.0-litre diesels. For the environmentally conscious, the GTE hybrid edition offers electric motoring around town, supported by a petrol engine for longer drives. Protection is paramount in a family vehicle, and the new Golf incorporates an array of driver assistance technologies to make travelling safer than ever. Front Assist is designed to assess the traffic in front of your car, alerting you if you get too close and applying the brakes if it detects the likelihood of a collision.  The intelligent Traffic Jam Assist feature, meanwhile, incorporates systems such as Adaptive Cruise Control to make driving in traffic simple. It applies the accelerator or brake according to the motion of the car in front, and warns you should you begin to stray from your lane. For further information about the new Volkswagen Golf, contact us today at Des Winks Volkswagen in Scarborough. Our expert team will be happy to arrange a test drive in this popular model, as well as answer any questions you may have and talk you through our flexible finance packages. Get in touch on 01723 580058 or submit an online enquiry form.